Hello! Lindsay from My Creative Days here to share with you my DIY Herb Garden! Another thing I can’t get enough of in the summer is basil. Tomatoes + basil = YUMMY! So, every summer, I make sure to have plenty of basil planted. This year, I decided to make our herb garden a little differently and I am so happy with the way it came out! It all started when I found this iron door at a garage sale. I pictured it in our yard somewhere, but didn’t have an idea right away. After a few days of moving it all around the yard, a light bulb went off in my head and I knew it would be perfect for a herb garden. These galvanized buckets were in my craft room, but after changing things up a bit, I didn’t have a need for them in there anymore. I thought they would be the perfect home for my herbs this year! I had already painted them with chalkboard paint so they were ready to be labeled for herbs. To get the buckets “herb ready”, I drilled four holes in the bottom of each one. Then, I put a layer of mulch in the bottom of each bucket. This sign idea came to me while shopping the valentine clearance at Target a few weeks ago. I am a big fan of shopping after the holidays. Not only am I saving a lot of money, but so many times, I find items that I can use for other times of the year. 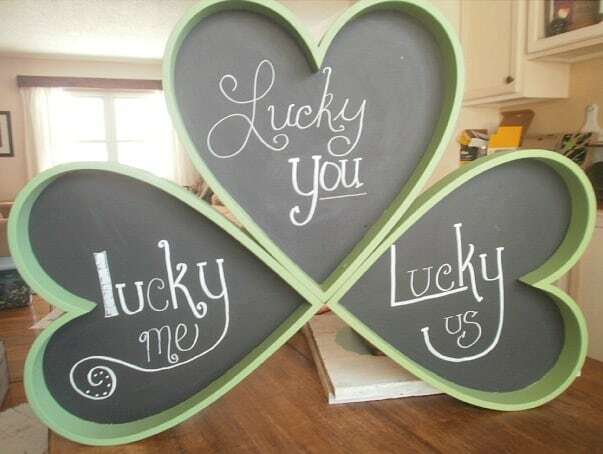 This DIY lucky sign is a perfect example of that. 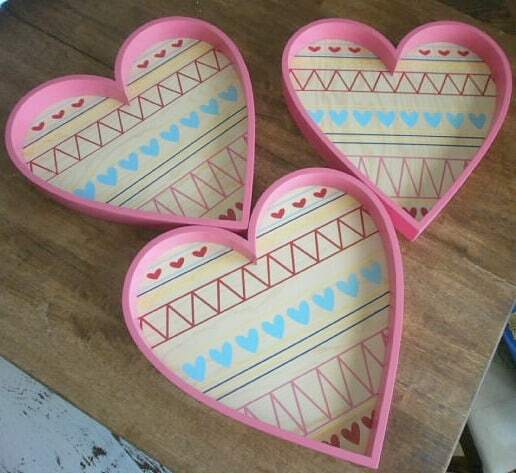 I found these wood trays on clearance for $1.99 each. Their regular price was $19.99! 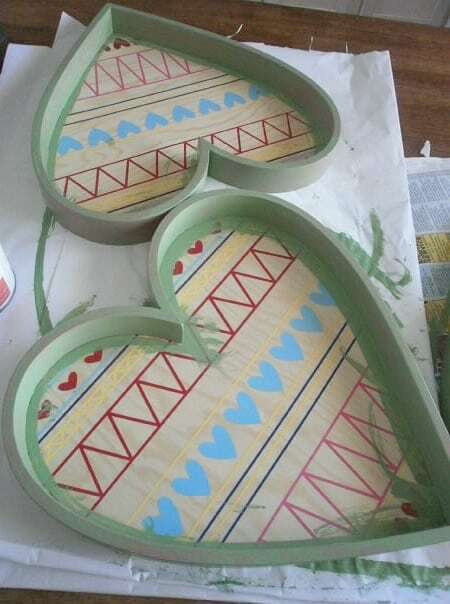 To start making these hearts look less “valentine” and more “lucky”, I painted the pink trim, green. Then, I painted the inside of the hearts with black, chalkboard paint. 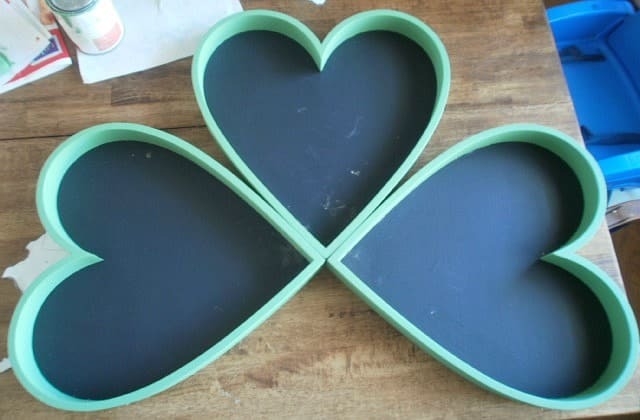 When three hearts are put together, they make a clover! 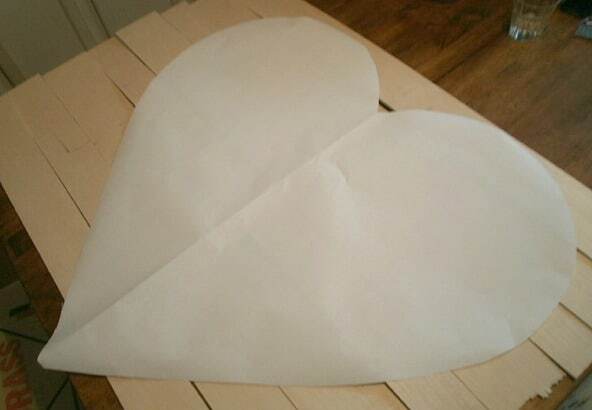 To make the stem of the clover, I drew the shape on paper and Hubby traced it on wood and cut it out. There are so many sayings and words out there that really string a cord with me. I love simple words that come together to make a HUGE statement. One of the sayings that has caught my attention lately is: “All you need is love.” I think there is so much truth to this. So many times you find yourself focusing on what you don’t have or what you think you want more of, but if you have love, everything else is just icing on the cake. So, I decided to make this saying prominent in our home with a sign. 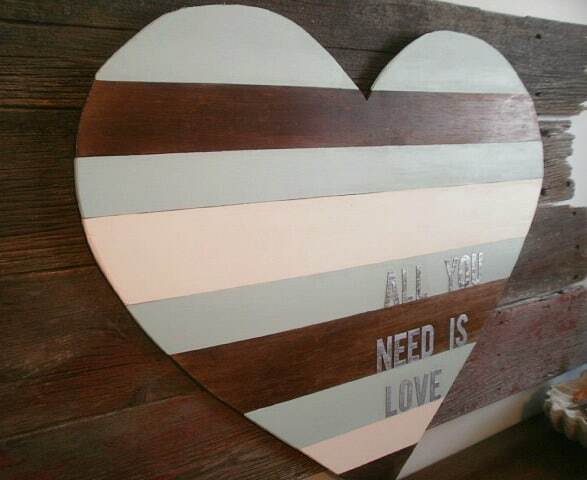 When I thought about the words, a big heart made from horizontal pieces of wood came to mind. We had a thin piece of wood left over from another project that worked perfect. I didn’t want the horizontal pieces to match in size. I thought a more “organic” look (something not so universal) would look better. 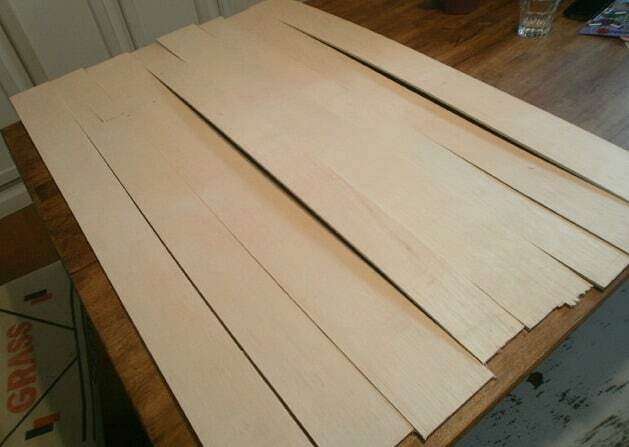 So, Hubby cut the wood at different widths – ranging from 2″ to 4.5″.